Many people do not evaluate their food service operation which may be a huge mistake. Did your food service fall short of expectations? Was it the best that it has ever been? Why? Evaluation should be used as an ongoing management and learning tool to improve the camp’s food service operation. Evaluation will help with identifying the areas for improvement and help you create a more efficient use of your resources next year. It only makes sense to use such a strategic approach since food plays such an integral role in the success of your camp. Was the kitchen adequately staffed to handle the demands of campers and staff? 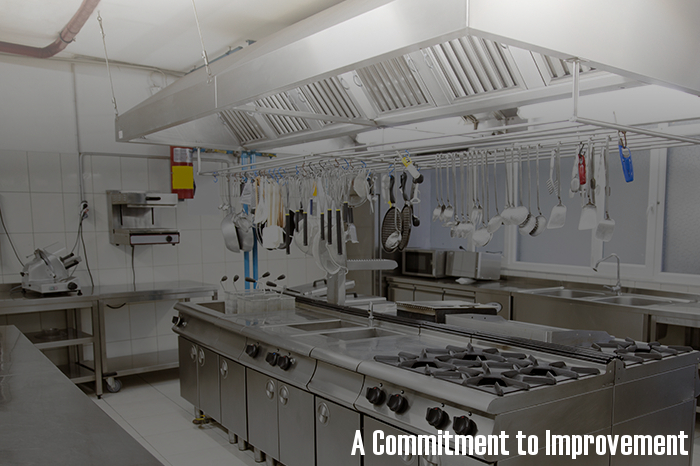 Was the kitchen equipped with the proper equipment to facilitate the operation? Was the menu built around the capabilities of the camps kitchen and staff? Was the menu built by a qualified individual? Were special diets given the attention that they need? Was there always food available and safe for these campers and staff members? What were some personnel challenges in the kitchen? Why did they happen? Was there a food service director or equivalent in charge of the operation creating a reference point for decision making and accountability? Was there a budget per camper or staff member per day that was adhered to in order to manage the financial outlay? Was there a lot of food waste? Why? What was the biggest challenge related to the food service operation? How can it be overcome in the future? Once you have some of these questions answered, you can assess what was right, what was wrong, and how to bridge the gap. Equipped with this information, you can devise a plan to address the shortcomings to make for a more efficient and fruitful food service operation in the years to come. Does it make sense to outsource the operation? Do you just need some questions answered or some suggestions? If you need help feel free to email us anytime at info@tbfoodservice.com and we will be glad to assist you. Children: Maintaining a balanced diet at Summer Camp.